After the Nintendo Direct excitement this week we get down to the nitty-gritty of the Nintendo Download Update. It's a busy one this week, with a whole lot of new arrivals on the Switch eShop, while the 3DS / New 3DS also get two massive releases to consider. It's a big update, so let's get to the details. 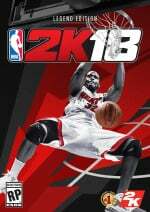 NBA 2K18 (Take 2 Interactive, $59.99USD) - A welcome arrival of a major sports franchise on the Switch, this promises a feature-rich edition (including the online and career modes) that can also be played on the go. Available on the eShop from 15th September, at retail from 17th October. NBA 2K18 Legend Edition (Take 2 Interactive, $99.99USD) - Available on the eShop from 15th September, at retail from 17th October. NBA 2K18 Legend Gold Edition (Take 2 Interactive, $149.99USD) - Available on the eShop from 15th September, at retail from 17th October. 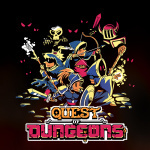 Quest of Dungeons (Upfall Studios, $8.99USD) - This is a roguelike dungeon crawler that turned out to be very good on the Wii U. This has all the same content along with a new environment, more enemies and tile-sets along with an in-game achievement system. We'll get cracking on a review. Kingdom: New Lands (Raw Fury, $14.99USD) - This is actually the second game in the series (the first is still coming to Switch), and offers a stylish experience that has been well received on other platforms. You have to rule over a wide range of beasts and facilities while building up your kingdom with careful strategy. 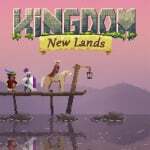 We quite liked it, albeit with provisos, in our Kingdom: New Lands review. 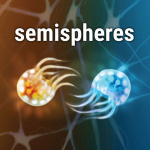 Semispheres (Vivid Helix, $9.99USD) - A 2D puzzle game with a lovely synth-led soundtrack by none other than Sid Barnhoorn, you control two protagonists on either side of the screen; the challenge is to safely guide both through the world. We'll let you know what we think in a review. 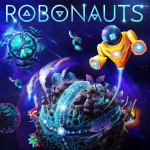 Robonauts (QubicGames, $13.49USD) - This arcade-style shooter uses gravity to switch up gameplay as you journey off into the unknowns of space. The adventure contains twelve different planetary systems, an array of weapons and the added bonus of solo and local multiplayer. Available from 15th September. 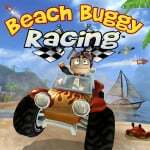 Beach Buggy Racing (Vector Unit, $9.99USD) - An interesting budget kart racer with 15 tracks across six modes. The trailer looks promising, with various characters, vehicles and power-ups shown off. We'll see whether it deserves a place on the podium in a review. 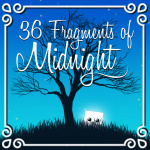 36 Fragments of Midnight (Ratalaika Games, $2.99USD) - A procedurally generated platformer in which each attempt consists of finding and collection 36 fragments, all while dodging various dangers. We'll see if it delivers the moon on a stick in a review. 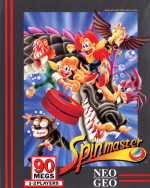 Spinmaster (HAMSTER, $7.99USD) - A Neo Geo platformer that lets you take control of Johnny and Tom in their quest to rescue Mary and get the five pieces of a mysterious treasure map from an evil organization lead by one Dr. De Playne. While the plot - even by 1993 standards - isn't exactly award-winning, the frantic gameplay and humour certainly was perfect coin-munching material, with a mandatory mine cart section included for good measure. Metroid: Samus Returns (Nintendo, $39.99USD) - Well, Samus is back. This 2D (though the 3D effect is terrific) entry is a reimagining of Metroid II: Return of Samus from the Game Boy days. It introduces some excellent new ideas, however, and delivers one of the best games in the illustrious history of the series; we explain how in our Metroid: Samus Returns review. Available from 15th September. Yo-kai Watch 2: Oni Evolution Update - Anyone that owns the YO-KAI WATCH 2: Bony Spirits or YO-KAI WATCH 2: Fleshy Souls games can download a free “Oni Evolution” software update starting today. It adds the Yo-kai Watch Psychic Blasters mode with additional bosses to battle against, the chance to befriend new Yo-kai and more fun features. This update also allows players the ability to transfer save data from the YO-KAI WATCH 2: Bony Spirits and YO-KAI WATCH 2: Fleshy Souls games to YO-KAI WATCH 2: Psychic Specters, which launches on Sept. 29. 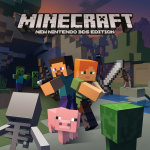 Minecraft: New Nintendo 3DS Edition (Mojang, $29.99USD) - It took quite a while, but one of the world's most beloved games is now on the 3DS, albeit the demands of the software mean it's only on New models. We've previously had versions on Wii U and Switch, and we'll now see how this edition stacks up in a review. Percy's Predicament Deluxe (Maestro Interactive, $5.99USD) - A single player title with a bit of Super Monkey Ball about it, as you roll through a lot of stages to reach the end. We were rather unimpressed with the Wii U original, though. Earthlock: Festival of Magic (Snowcastle Games, $9.99USD) - Earthlock is an adventure RPG that takes place in a beautiful world haunted by its past; your task is to join a band of unlikely heroes to rescue scavenger Amon's uncle and uncover the truth behind the Earthkey. 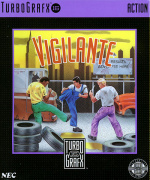 Vigilante (Konami, $5.99) - Another TurboGrafx-16 game for your consideration, this time around it's a side-scrolling beat 'em up. You can go full retro and check out our 2007 review, if you like. Lots of download options for you this week - let us know what you'll be downloading in the poll and comments below. Metroid. Please and thank you. Just the Project Octopath Traveler demo for me. Earthlock : Festival of Magic Wii U version here I come ! So excited for Metroid. Lots of Switch eshop titles to check out too, gonna be a good weekend. Gobsmacked that the 3DS has Minecraft! I was begging for it a couple years ago. Getting me Metroid tomorrow along with the new amiibos. Kind of a decent week in America. What did you think? As a huge fan of 16/32-bit jrpg's (Final Fantasy VI, in particular), the demo blew me away! I love the art style! Here's a review for Beach Buggy Racing if anyone was interested in that. Looks okay actually. $30 for $7 Pocket Ed. Minecraft, but it's currently 1 player only. Awesome. NL should list file sizes for those Switch digital games. I'm sure Nintedo will keep their games small, but Skyrim, Doom, Wolfenstien, not small. Even with a 64GB SD card only 1 of those games might fit at a time. Nice week. I transferred my Earthlock backer copy to the Switch, so sadly won't get to play it just yet. I'm super interested in Kingdom, so looking forward to the review. Man, I might have to grab the Wii U games. Plus Spinmaster and Kingdoms for Switch. Metroid and some demos for me this week! You forgot to list Project Octopath Demo. Grabbed that and will be getting physical Metroid tomorrow. Yes, sir! I agree with you on the multiple storylines! Based on the thirty minutes that I was able to play (forty-five, if you count the opening), SE absolutely NAILED what made the best jrpg's of the 90's so special while adding some new wrinkles! This game can't come soon enough, even though I'll have plenty to keep me busy. @rjejr Some games could surprise in their file size though. NBA 2K18's base size is only around 6GB, with up to another 6GB reserved for updates and patches. I was expecting that game to be much larger. I'm probably going to download NBA 2K18. I won't be able to wait a month for the retail version. Earthlock has gotten some great reviews.....I'm surprised by the $9.99 price......was expecting it to be more. I'm waiting to see about a Switch version though as I really dont want to out any more digital games on my Wii U. @flapjack-ashley now I'm just confused. Why does the physical version need an SD card? Given where things were at a few months ago, a full on hype train over a new Metroid release feels AMAZING. Also, who would ever spend $150 on a basketball game that will be outdated shortly? It's kinda upsetting that Quest of Dungeons is more than 5x the price of the playstore ... has anything substantial been added and/ or changed about the game? Octopath Demo and picking uo Metroid tomorrow with the soundtrack and amiibo! Finally what I've been begging for! @MarioPhD I also wanted it physically. In fact I had pre-ordered it through Best Buy, but when I got the email that the release date was changed to October 17 and I learned that it would be available tonight for anyone buying digitally I decided I was never going to make it a month so I might as well just buy in immediately. I mean I'd really regret it if I went 2 weeks and then caved because that would mean I should have caved 2 weeks earlier. So I canceled my pre-order and I will be hitting download as soon as it comes up on the eShop tonight. @flapjack-ashley I'd bet money that it'll be much larger than 6 or 12 GB! I bought NBA 2K13 on my Wii U and it was 25 GB there's no way it got smaller in the last 4 years. @chiefeagle02 ikr. It's totally the pocket version too. I could understand if it was the full game with the expansions but I know better. Nothing....... but I miiiight be renting Metroid at a later date. We'll see. @OdnetninAges 2.5 hours for me, and I've only used the one character. Yeah probably, a lot of grandparents will still buy it for their grandkids at Christmas though. Kids under 8 may still enjoy it. I have to download the entire game. I would have ordered it already but GS wants $10 or $15 for delivery, even though I have a GS credit card to charge it to, so I'll look around and stop by the store later. I haven't forgotten you or our shows, been busy, and very tired. In another thread some other time. @Fred13 I've had a very similar revelation. Plus, who knows if this will be our only 2K game (like the Wii U before it), and having it with me digitally at all times wouldn't be so bad! Shameful confession: Madden 13 is my most-played Wii U game (and I have 150+ hours on Splatoon). So I know I'll get my money's worth from this one. The only thing that'd stop me is my miserly tendencies..... but whatever. I'm going to be impulsive, and this baby will be mine tomorrow! @Fred13 I know there is an official release about it out there, saw the link on Gaf, but it boils down to what you wanted to do. Parts of the game would need to be downloaded etc. But if you just wanted to play the base basketball game I am pretty sure they said you only needed 12 or 13 gbs. Its the story mode and stuff that eats up all the space now. On a side note my 8 year old said both 2k18 and Fifa looked cool, so who knows i may have to get one or both. Metroid for me. Oh yeah! Meh, nothing this week really appeals to me. Pass. What in the world?! 150$ for a digital basketball game?! What does it include to warrant that? NBA is tempting but I'm already developing quite the backlog on the Switch. This goes on the back burner for now. $150 for NBA 2K18 Legend Gold Edition. Honestly I have no idea how it's different from the core game and if someone wants to pay this good for them. I just can't fathom a single game costing so much or myself ever paying that. So in other words, not worth $150 at all. @justin233 @ThomasBW84 Ikr? I was just gonna ask about Pan-Pan myself, which I'm def downloading. Otherwise, I downloaded the POT demo, grabbing Metroid from retail, am getting 36 Fragments of Midnight and considering Semispheres atm; the latter I mayyyy see if I can see a review first. Here I thought Metroid Samus Returns would be the only thing I'd get this week, but if the review is positive, I might download Minecraft as well. Will be my first time trying out a Metroid game. Hope I enjoy like most people do. I'll be buying the physical copy (all my 3DS games are) but since I'm still here in Japan I have no choice but to wait until I get home during the Holidays. Samus please wait for me. Surely those collector's editions of NBA 2K18 can afford to include a card with the full game on it? Nothing for me other than the EOV demo. Next week I'll be buying Pokken Tournament DX, Pokémon Gold or Silver and Minecraft for my son. getting Metroid physical edition... But you guys forgot about PAN-PAN, even thought you had a separate article about it!!! No downloads, but my hard copy of Samus Returns arrives tomorrow. @Lalivero Pan-Pan is on the shop now in NA, but this article makes no mention of it. Has anyone played Pan-Pan? Reading/watching old reviews for the PC version and I'm on the fence. Lovely visuals, but lots of complaints about lack of direction and dead ends. Also doesn't seem to have much replay value. Hmm... it's so cute and I adore the style. I guess I could make a worse purchase for $5 and I want to support the developer. Physical Metroid. Will wait for Earthlock on the Switch. Of course, buying physical is a great option for those larger games. Only 6-8gb of NBA 2k would be digitally stored. And since it's only a handful of games with such large file sizes, a 128gb could handle NBA 2k18, WWE 2k 18, FIFA 18, LA Noire, Resident Evil Revelations and RE Revelations 2, Doom, etc and most of the other games (Nintendo games in particular) take no space buying a cart and even download average 5gb (Zelda being the exception). I never got around to getting Cursed Castilla and now it's two bucks off so there's another one. That Etrian Odyssey V demo is supposed to be up. And the pre-load of pokemon gold for next week. Since it's not getting the better together update I'll hold off on minecraft for the moment but at some point I'll pick it up. What I should do is buy none of these games and save up for a Switch and Mario Odyssey because it looks incredible, but I just can't help myself. Etrian Odyssey V demo and maybe the Chicken Wiggle sale for me this week. Downloaded EOV demo last night and it's mostly a return to form. Back to open-ended non-plot, although a minor complaint is the voice acting did carry over from Untold (thankfully it can be turned off). Challenge level seems about the same as EOIV so far in that I did a little too well well on hard mode with the standard Etrian team of Protector-Balanced Attacker-Heavy Hitter-Healer-Magic. I'll be getting a physical copy of Metroid: Samus Returns later this month. Can't wait to dig into a 2D entry again! Getting the octopath demo. Holding out for steamworld dig and pokken and then the October Wreckining of my bank account. Why can't I hold all of these games?! Honestly this is ridiculous. No new VC for 3ds at all yet somehow WiiU which at this point is so dead it's attracting flies gets new VC on a fairly regular basis. I'll pick metroid up at retail. I have Metroid Special Edition on its way right now! That's right! I pulled the trigger and selected overnight shipping. 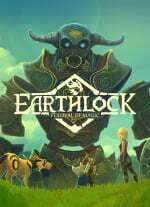 I am also going to download Earthlock . By the way! Octopath so far seems to be a fantastic game in the making. @Lalivero Very right you are! I did indeed just mean NBA-related, but I'm pleased we're get WWE as well! I feel like seeing Bethesda and Rockstar getting on board (even just with ports) is a good sign that 3rd party support for things like sports games should hold strong, but who knows. 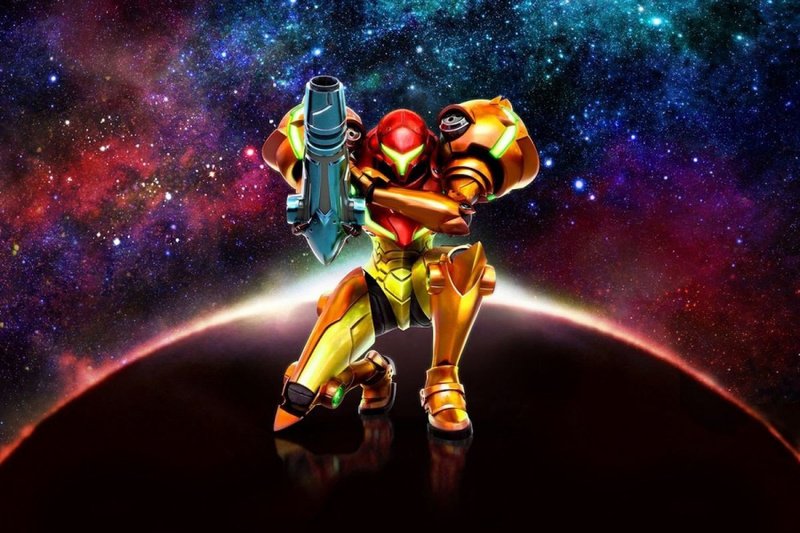 METROID , THE WAIT IS FINALLY OVER WE HAVE A NEW METROID GAME TO PLAY . @MarioPhD I think the sports titles will only hold strong IF THEY SELL! Just like with Wii U's NBA 2K13 which didn't sell and we never for NBA 2K14, if NBA 2K18 doesn't sell at least decent then we'll never see another NBA 2K game on Switch. I hope NBA 2K18 sells. Getting almost everything on Switch plus Metroid. I was waiting for this week and saving up money. @JaxonH Well I wasn't worried about you, you always find a way, I was thinking about people who maybe don't have a SD card yet, or just 64GB. How much do you think I can spend after that $380 console, $75 XC2 Pro controller, and $100 XC2? I don't even want to do the math. Also, and I thought it was relative for this page in particular, this is the eShop page listing, so it's really for people who are buying the game digitally, ALL of the game on the eShop, not on cart. If this were the listing for retail this week we'll I don't think it matters to end users how much is on the cart, the games don't install like PS4 and X1. But since this is the eShop page, where people buy the entire game digitally, not on cart, I thought size might matter. Probably not for too many of the indies, but Doom etc. There's only 1 you. This place would be better off in there were more, but you're still the only one I've found. 400GB, you're nuts. @justin233 apparently idiots as they do with Fifa every year. @Fred13 I stand corrected. It is at 22.9GB. Earlier reports yesterday listed it at 6.8GB with an additional 6GB for storage/patches. @Fred13 Hopefully tossing our hats into the ring for the early digital version helps! I'd hate to see the support end here! Ideally they'll get it to 60fps at some point with the right blend of optimizations for the platform, and the only way we'll get that is to support this first version! Thank goodness the failure of the Wii U and 2K13 there didn't destroy their relationship with Nintendo. @MarioPhD Personally, I have no problem with 30 fps instead of 60 as long as there’s no stuttering or slowdown. I’d prefer we get the prelude like the PS4 and Xbox One got. I would have loved to have played through the first part before receiving the game. I almost borrowed my bro-in-law’s PS4 for a few days to do just that, but that’s me I realize that a lot of people find a huge jump in enjoyment getting 60 fps over 30 it just doesn’t make a difference to me. Very curious to see how Earthlock turned out after all this time. @Fred13 Eh, it's not make or break for me, but with sports titles it's nice to get that extra responsiveness, but it's become clear over the years that not everyone really notices the difference. I'm not 100% sure I can always tell, honestly. When I see them side by side I always can, but there are plenty of 30fps titles that still look great and play great in motion. So, while I'd love a little extra responsiveness and fluidity, it's not enough to stop me. 2K13 felt good on Wii U, and it seems that was only 30fps, so I'm sure Switch will be fine. wasnt porting Minecraft a thing back on the DS Lite? @joey302 I personally wouldn't cave in for $150. I can think of hundreds of things I would rather buy for myself and/or my children that would actually be useful. Then again, I do not have children and can only imagine how annoying their whining must be. @joey302 lol, my parents hid my games at that age too. It taught me not to mouth off to them, lest I lose my GameCube!